On April 23, 2017, the Children’s Home Society of Florida will host Tallahassee’s largest and oldest foodie event: the 32nd Annual Chefs’ Sampler! 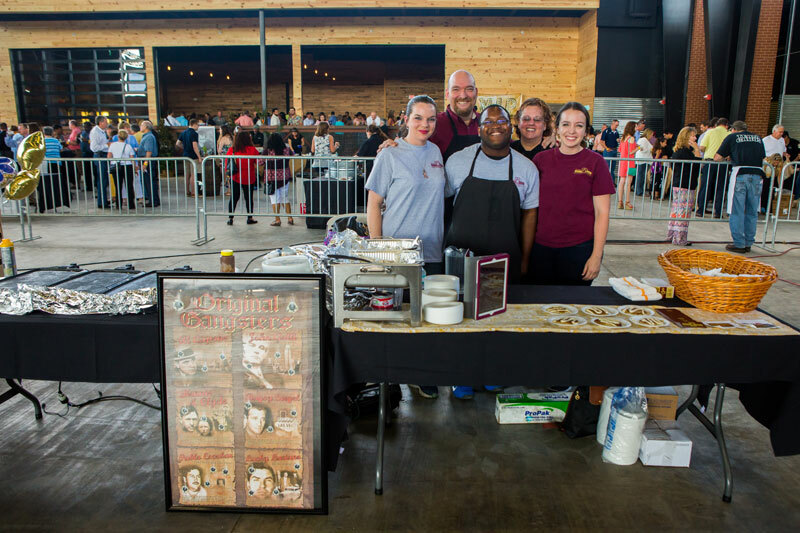 For the second year in a row, this fun and festive evening will bring more than 40 Big Bend restaurants, caterers and breweries to the spacious Pavilion in The Centre of Tallahassee, where visitors will enjoy bite-sized samples of some of the area’s tastiest culinary creations. Upon arrival, event-goers will be given a map to help them embark on their Tasty tour of Tallahassee. Restaurants will be clustered by the area of town in which they are located. (Midtown, Collegetown, etc.) The Chefs’ Sampler is a great way to discover new restaurants in town and to visit old favorites, all in one place. Variety will reign on this festive occasion, so whether attendees crave Bada Bean’s famous cinnamon roll pancakes or Cabo’s Island Grill & Bar’s crab cakes, they won’t leave The Chefs’ Sampler dissatisfied. After visitors have had their fill of nibbles, they are invited to relax, play games and socialize in The Chefs’ Sampler beer garden — while enjoying beverages from local breweries, of course. There will also be live musical performances in The Centre’s concert arena, just in case any foodies want to dance off a few calories before they gobble down a few more! Event attendees who upgrade their tickets to VIP status will enjoy complimentary valet parking, a private VIP reception and entrance to the event a half-hour before the crowds. The VIP reception includes a signature cocktail, offerings from specialty restaurants located only in the VIP saloon and more. Of all the wonderful aspects of this exciting event, the best part is that all proceeds benefit the Children’s Home Society of Florida. Committed to helping children realize their dreams, Children’s Home Society of Florida provides services to needy children and families in the Big Bend. Your ticket purchase will make a difference in a child’s life. So join us for fun, food and mingling, and help to create a world where all children reach their full potential. See you at The Chefs’ Sampler! Time: VIP: 5–6:30 p.m.; General: 6:30–8:30 p.m. Location: The Pavilion at The Centre of Tallahassee; 2415 N. Monroe St.